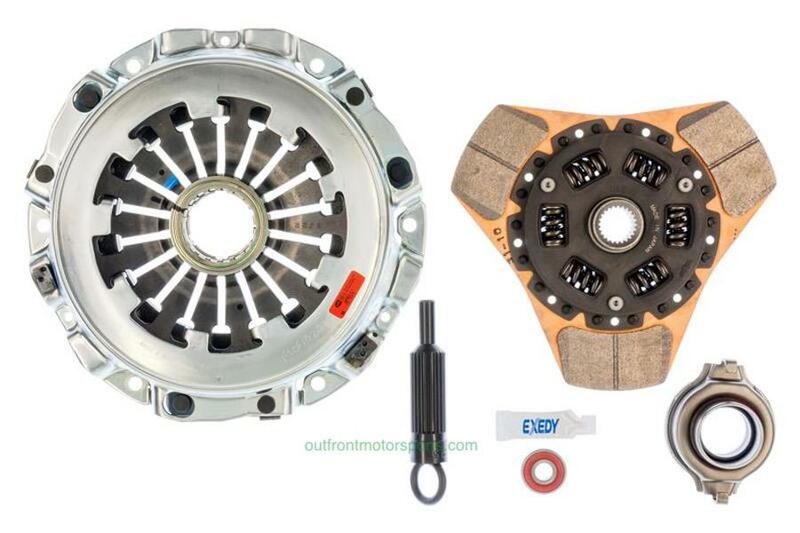 EXEDY cerametallic clutches are designed to handle the abuse of high power modified engines. The Exedy cerametallic friction material can handle much more abuse than stock type disc assemblies without slipping and fading. All EXEDY Stage 2 cerametallic clutch discs have sprung center dampers to reduce the impact and shock loads transmitted through the drivetrain. This is the Thick Version of the stage 2 clutch. The thick discs have better heat capacity and therefore better durability in demanding applications. Even with the thick disc, the Exedy puck designs typically have less inertia than a stock disc and work well for street, rally and track use.Torque Capacity Measured at the wheels: 316 Ft/Lbs.